The Festival of Marketing is taking place this year on 11-12 Nov. It will be held in London’s Tobacco Dock,with its own outdoor, quayside space a dramatic basement vault and an atrium, it should provide for the perfect setting for two jam packed days of discovering and learning. The festival aims to educate or re-educate those in the field of marketing, providing them with new and innovative perspectives of the marketing world. There will be a ton of things to see and do, so a dull moment should never occur during the festival. You can check out the headliners on the main stage, where people like the likes of Sir Alan Sugar will be making an appearance. Or you could pop in and out of the 12 other stages which will be running all day. 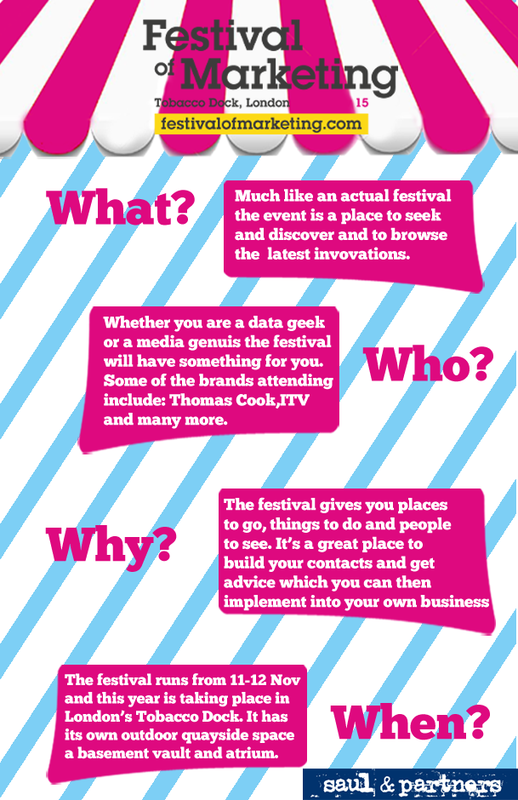 If we still haven’t convinced you here’s a few reasons why you should be attending this years Festival of Marketing.